Tulsa Christmas Lights is one of the amazing services we offer at Green Leaf. We have over 10 years of experience in providing professional lawn care and Tulsa Christmas Lights installation. Throughout the Tulsa area we have been providing services that include mowing, holiday lighting, landscaping, weed killing, and much much more. If you’re interested in any of the services we have to offer we encourage you to continue reading our blog or simply stop by our website, www.greenleafweedcontrol.com for all the information you would ever need about our company. We would also love to hear from our perspective and existing customers on our phone number at 918-640-6405. We are devoted to providing amazing service to the people of Tulsa Oklahoma and the surrounding areas. Give Jamie Nix and Josh Mathias a call today and let us get started on showing you how beautiful your home and lawn can truly be. In the winter months we specialize at Tulsa Christmas Lights, but when it comes to the summer we are all about the health and beauty of your front lawn. If you’re frustrated with the way your Tulsa lawn looks, maybe it’s time to make some changes. It’s very possible that you’re not aware that some of the things you are doing or perhaps not doing, is having a very big effect on your lawn. Here are some lawn care tips that may help you take better care of your turf and ensure a more successful and healthy landscape one spring rolls around again. If you drive through any normal American neighborhood in the evening, the chances are you’ll find quite a few residents watering their Tulsa lawns. This is a common mistake. Since the moisture will evaporate through the night it will greatly create a perfect opportunity for mold or other fungus to grow. Instead water your lawn in the morning so the moisture has a chance to evaporate. If weeds are popping up on your lawn you definitely want to handle that issue sooner rather than later. Weeds are notorious for their ability to spread quickly. There are several different things you can do to fight off weeds, but the best thing is to possibly call Green Leaf and have us come out and manage those weeds ourselves. We are experts in reading your lawn of weeds and making it look amazing again. 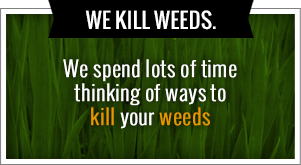 Give us a call today to find out more about our weed control services and all of the other different seasonal services we offer. Many people are tempted to back their clippings whenever they mow their lawn or they can have been blown away, but as long as the amount of clippings isn’t sick, you can leave them on your lawn where they will decompose and become natural fertilizer. If your worried about clippings making your lawn look messy, consider investing in a mulching lawn mower, or calling the experts at Green Leaf to take care of all of your lawn services for you. We have affordable prices that are competitive in the city of Tulsa and we look forward to servicing you with all of your lawn care needs in the future. Green Leaf Lawn Service is committed to providing expert lawn care and home decor year round to the people of Tulsa, Oklahoma. We have become experts in our craft and have over 10 years of experience when it comes to Tulsa Christmas Lights and all other Tulsa lawn care services year-round. It’s time to meet Jamie Nix and Josh Mathias, the founders of Greenleaf and the experts behind all of the lawn care services. They are devoted to their craft and work hard to become experts on a daily basis. They are also devoted to the people of Tulsa and providing competitive, affordable, and expert lawncare in Tulsa Christmas Lights to all the people of this fine city. Give us a call today at 918-640-6405 for more information on our company, and you can also visit our website, www.greenleafweedcontrol.com, for more information on our company. Of course we can take care of your Tulsa Christmas Lights in the winter, and we would love to take care of all of your lawn care needs in the summer. If you’re looking forward to really sprucing up your Tulsa lawn this year and have decided to add fertilizer into your regimen, but you might be wondering which one is better: liquid or granular fertilizer, we can help. We offer a wide range of fertilization services and irate started about $35. The choice between liquid and dry fertilizers may depend on what type of goals you have set to achieve each season. If you have a persistent weed problem, then liquid fertilizer may be the way to go. Some fertilization treatments include pre-and post-emergent weed control and when they come in liquid form, they are absorbed more quickly, producing faster results. Lawn care specialists around the country also suggest that liquid fertilization treatments are better for the environment because the fertilizer does not spread around all of your landscape much like granular fertilizer treatments can do. 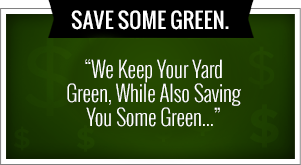 We will go over all of the specifics with you when you call the experts at Green Leaf. We know that no two Tulsa lawns are exactly the same and we look forward to figuring out the appropriate plan of action to get yours the very best treatment that it needs year-round. For best results when it comes to fertilization, contact your local Green Leaf experts and leave it to the professionals. Employing a Tulsa lawn care company often allows you to expect higher quality results, and we promise to always invest our full skill set into making sure your lawn is more beautiful than ever before.